The Veil of Manoppello currently measures 17x24 centimetres. 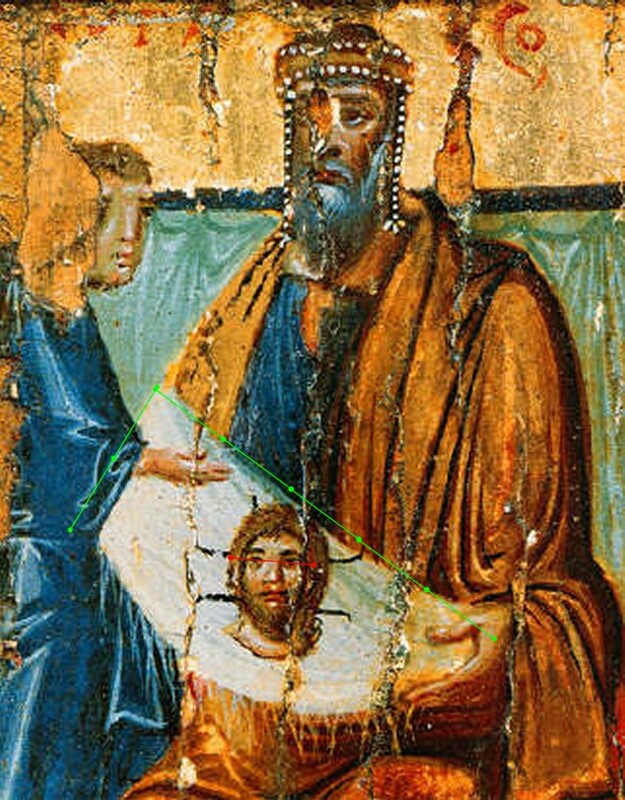 It is known that in 1618 father Clemente of Castelvecchio removed the worn-out edges of the Veil and brother Remigio of Rapino placed the relic between two glass panes connected with a walnut frame. 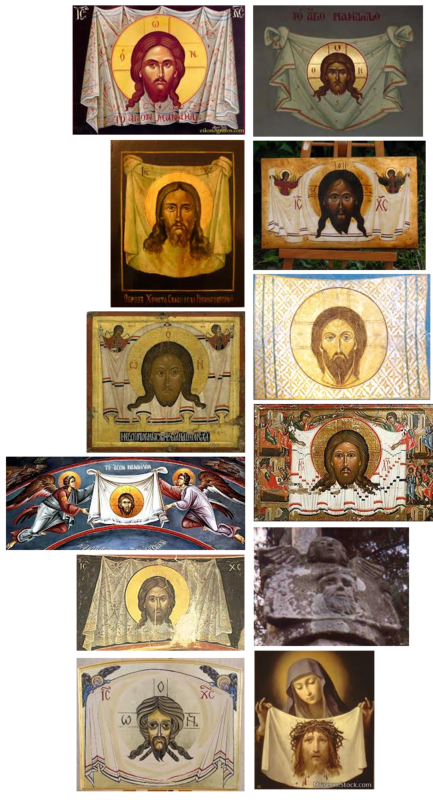 Earlier, when the Veil had been stored in the Vatican, its dimensions had been much bigger. You may see it for yourself when you look at the title page of “Opusculum” written in 1618 Jacopo Grimaldi. Many researchers believe that the frame in which the Veil had been kept is currently located in the Vatican treasury. It is lavishly embellished and the glass panes are cracked. It measures much more (i.e. about 31x34 centimetres) than the walnut frame of Manoppello. However, both the Vatican frame and the frame of Manoppello serve the same purpose which is to exhibit an item which can be viewed from two sides as a slide or transparency. 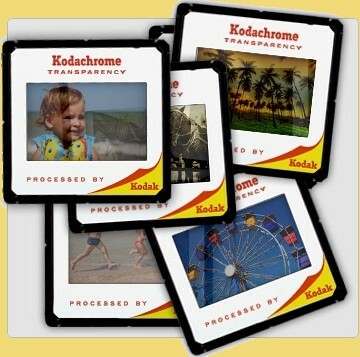 It is worth noting that the first contemporary colour transparencies were created in the 20th century. Examining the fabric it is easy to notice many brighter lines which seem laid out in a disorderly way. Some are thin and barely visible, others are clearer to see. They are most likely the marks left by repeated folding of the fabric. 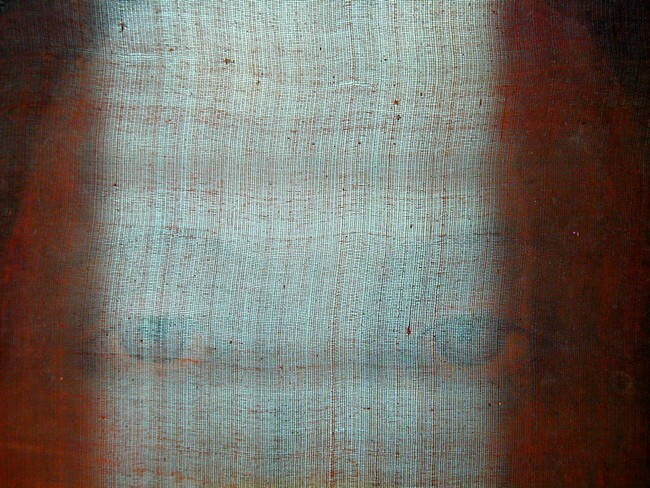 One can imagine that the Veil has not always been exhibited as a transparency. Initially, it must have been viewed against the light while being held in hands and then repeatedly folded. 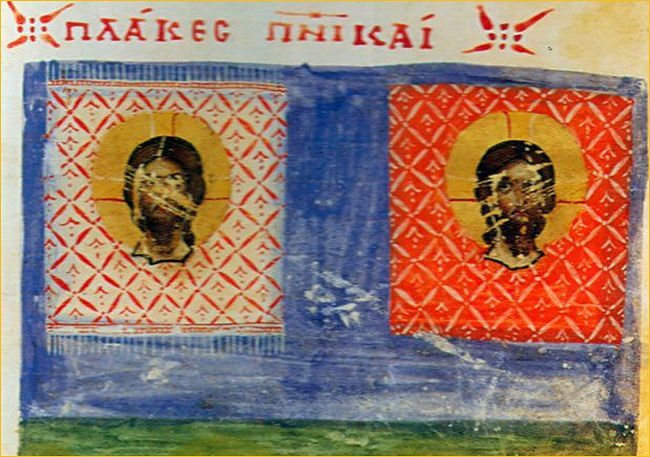 The Veil was folded in a different way after it had been removed from the Vatican frame. I made the diagram basing on the brighter lines a, b and c. The hypothesis assumes that the Veil was folded once lengthwise and three times crosswise. Therefore, the Veil was not only folded along the “new” division lines but also along the “old” lines (d, e, f). One fact which is left to be explained is the irregularity of lines as they are not straight but rather twisted or even broken. The properties of the fabric itself may be the explanation. 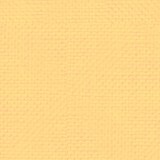 Nylon, silk, or byssus are delicate fabrics, "slippy" to the touch. They are difficult to fold along perfectly straight lines just as it can be be done with a piece of paper. Another hypothesis assumes that the brighter marks are not left by folding but by sewing to the whole shroud with a thread. However, if this was the case, the lines would be straight and unbroken. The primary function of a veil was simple: it was to serve as a head-dress for women. After being woven with a loom, the warp lines and the weft lines were intersected at a right angle. Because of the incredibly delicate structure, the weaving angles were deformed while the fabric was in use. Certain threads were shifted through forces acting when the flat fabric was pulled on the head, which is visible especially in the central part of the Veil. The image itself was not deformed as it was imprinted later when the position of the threads was already set. Up to this time no textile expert has expressed any opinion upon this issue. 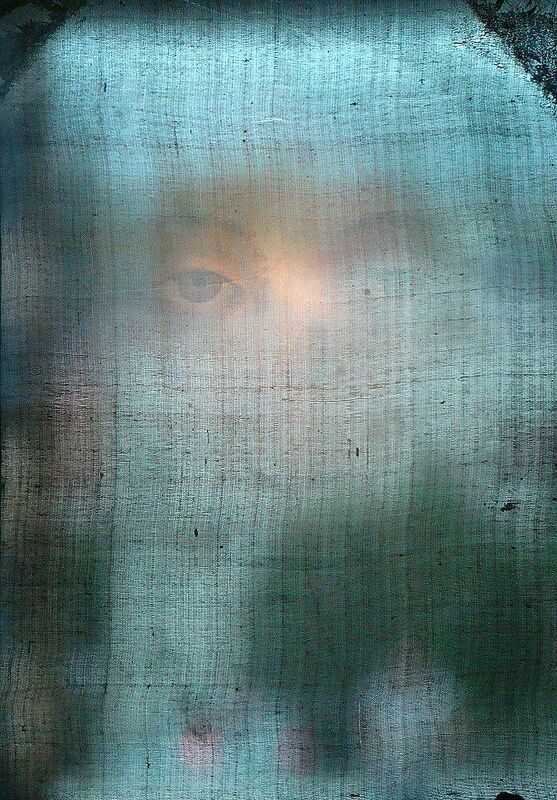 Hypotheses on the initial dimensions of the Veil. It is inasmuch interesting as the artist placed both the averse and the reverse of the Veil in one picture. 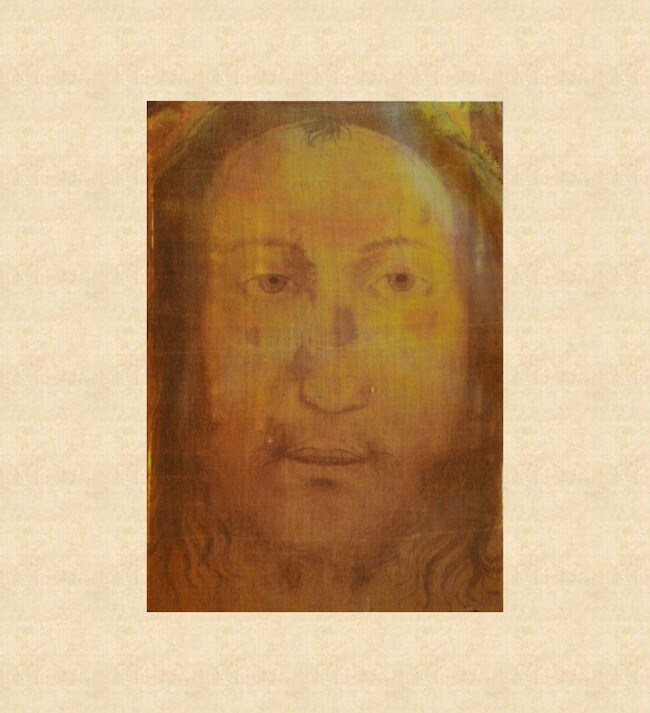 Jesus's Face is located in the middle of a square piece of cloth. Decorative tassells and a tape strengthening the cloth's edges are noticeable on the averse. The reverse lacks these details. 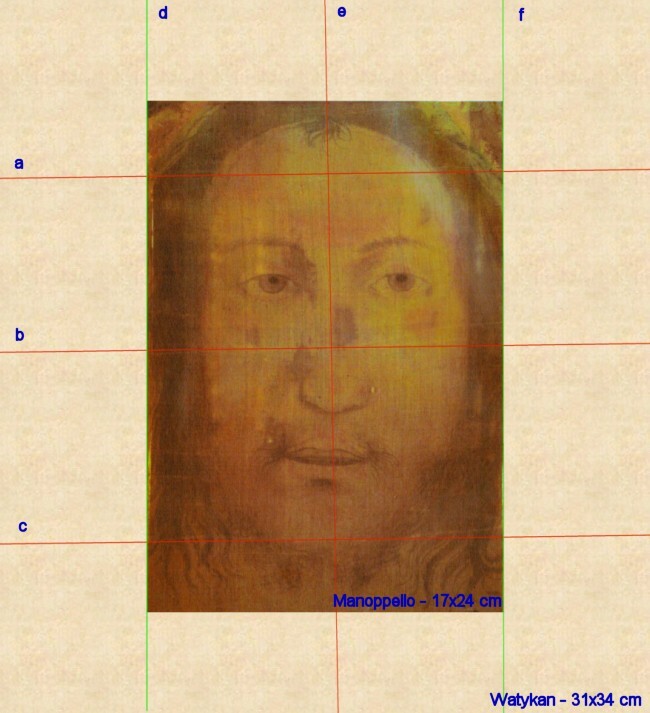 In his study Il Volto Santo di Manoppello misurava 2 cubiti x 2, Antonio Teseo claims that the cloth's dimensions used to be precisely 105 by 105 centimeters. 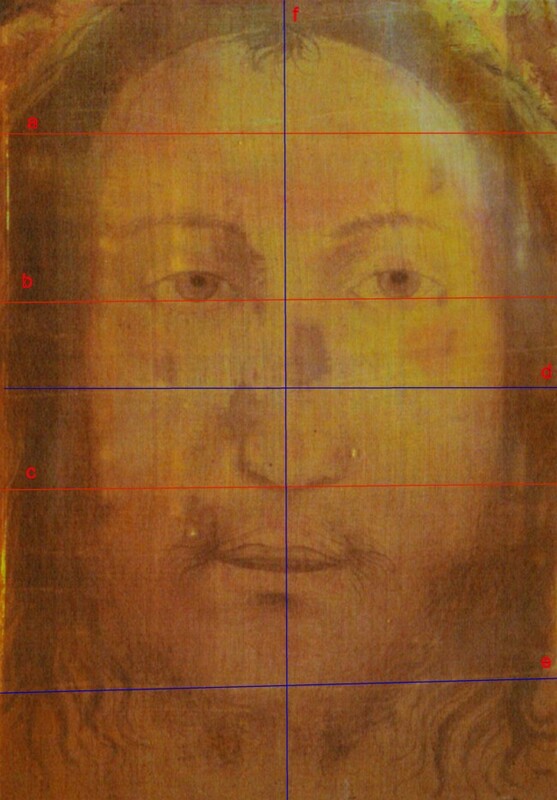 In "Relatione historica di P. Donato Da Bomba" (from 1640) there is a record stating that the image of the Holy Face was made on a square piece of cloth and measured 4 by 4 Roman palms (which stands for 1.05 by 1.05 meters). 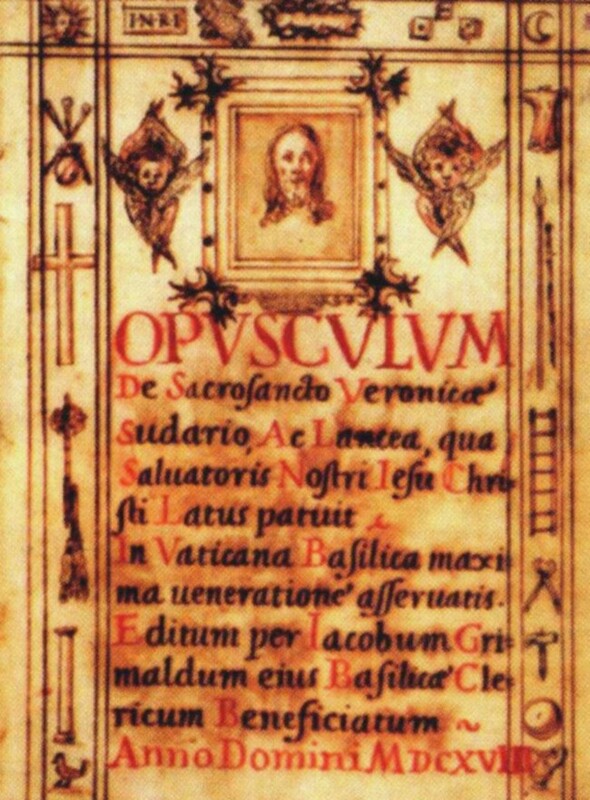 (In the original text: Partita poi la donna con i quattro scudi, e, disbnigato gli affari in cui era occupato nell’ora del contratto, tutto allegro e festoso l’avventurato Donat’Antonio per sì bella compra, spiegò l’Immagine la quale era nel mezzo di un velo quadrato e tutto trasparente per la rarità della tessitura, dalla grandezza di 4 palmi da ogni lato). Palms, as a unit of measure, had already been used in ancient Egypt. At the time when the Veil reached Manoppello (within the realm of the Kingdom of Naples), a palm was equivalent to 0.263 meters or 26.3 centimeters. 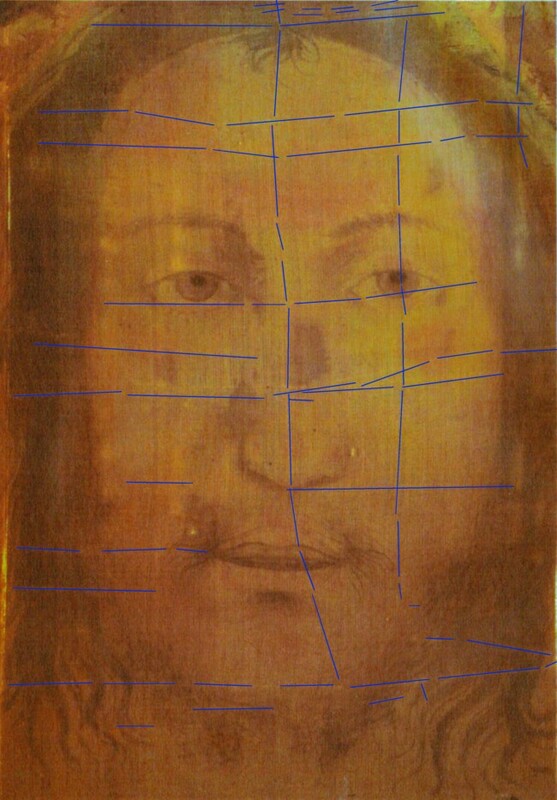 Basing on this data, Antonio Teseo concluded that the length of the cloth's square side measured about 105 centimeters. At the time of Jesus, valuable fabrics were measured in Egyptian cubits. One cubit was equivalent to 52.5 centimeters. This means that the Veil's dimensions were exactly 2 by 2 Egyptian cubits (52.5 x 2 = 105 centimeters). I asked my daughter how she puts on a square headscarf measuring 1 by 1 meters which she sometimes wears. It turns out that first she folds the scarf in half diagonally and then she puts it on her head. This leaves an exactly diagonal mark of folding. The Veil of Manoppello has no such traces and you can only notice the lines left after it was folded along and across its axes. In my opinion, the initial length was in fact about 105 centimeters, but the width was about 42 centimeters. Maybe later additional stripes of fabric with tapes and tassells were added at the top and at the bottom. Today this does not matter much. The contemporary shape of the Veil is a rectangle measuring 17 by 24 centimeters. What is most important is the fact that exactly this part shows the content which is the most precious to us i.e. our Lord's Face.